Partly cloudy skies during the morning hours will give way to occasional showers in the afternoon. High 63F. Winds WNW at 5 to 10 mph. Chance of rain 50%..
A few clouds. Low 49F. Winds light and variable. 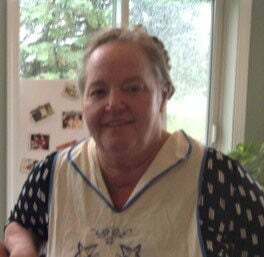 Jill L. Dunmire, 64, of 2528 Union Hill Drive, Wingina, Virginia, passed away Friday, March 29, 2019, at her home in Virginia. She was born June 19, 1954, in Chambersburg, Pennsylvania. Jill was the daughter of the late Wayne Nelson Alleman and Thelma Gephart Alleman. Jill was a 1972 graduate of Shippensburg High School. She also earned an associate’s degree in Art from the Pittsburgh School of Art, and was currently an owner and manager of a beef farm in Nelson County, Virginia. Jill loved all things nature. Her interests included caring for all animals, especially her Great Danes (Dudley and Princess), holistic natural remedies, gardening, growing flowers and flower arranging, sewing, collecting family antiques, artistic design, home remodeling and improvement. In addition to her mother, Thelma G. Alleman, and a sister, Cynthia A. Flood (husband, John B.) of Waynesboro, Pennsylvania, she is survived by three sons, Levi E. Dunmire of Roseland, Virginia, Shannon E. Dunmire of Newburg, Pennsylvania, and Noah E. Dunmire of Wingina, Virginia; her companion, Tony Flynn of Wingina, Virginia; six grandchildren, Dylan Carl, Lauren Louise, Dalton Wayne, Devon Shane, Hailey Louise and Abigail Grace; one nephew, Marcus W. Flood (wife, Stacie L.) of Greenwood, Indiana; and one niece, Jessica E. Wilson (husband, Justin R.) of Manhattan, Kansas. She was preceded in death by one daughter, Maggie L. Dunmire, and her father, Wayne N. Alleman. Dunmire Family Cemetery in Nelson County, Virginia.